Our spring coach trip this year is to Wicken Fen, the National Trust’s oldest nature reserve which provides a window on a ‘lost landscape’ – a unique remnant of undrained fenland which once covered the vast lowlands of East Anglia. Today Wicken Fen is one of Europe’s most important wetlands, home to over 9,000 recorded species including many rare species of birds, plants and dragonflies. 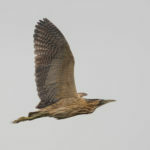 Spring highlights include bitterns booming deep in the reedbeds, drumming snipe and woodcock roding. Hopefully we may also see early summer migrants including swallows, sand martins, swifts, warblers and cuckoos. Several trails are available including the easily accessible all-weather Boardwalk trail at the heart of the reserve enclosing the ancient Sedge Fen. There is also a good visitor centre with a cafeteria serving a selection of hot and cold food, tea, coffee and of course cakes! For those who would like to try something different, a peaceful cruise along Wicken Lode might be of interest (additional charge applies). This can be arranged in advance by calling 01353 720274 or on arrival at the Visitor Reception. Our coach will leave Gravesend Railway Station, Clive Rd, Gravesend, (opposite Debenhams) at 8.30 am and return at about 6.00 pm. Please pay for tickets before the trip as the coach has to be paid for in advance. Sounds great , can’t wait. Do you think we can see all 9,000 species in one day? ?